for one reason or another, my gardening sensibility has always revolved around growing things that are useful. to me, when speaking of gardening, useful most often means edible. and this is probably why i have little interest in growing plants that are merely pretty to look at (though, this has been changing a bit in the past few years). beyond edible, however, there are many other practical uses for plants. plants can be used for medicinal purposes, in body care products, for dyes, among other uses. and, as a bonus, many of these plants are also pretty to look at. when we moved into my house a year and a half ago, i was not so interested in the two rose bushes that were planted in the perennial bed in our backyard. aside from some childhood memories of my grandfather tending to his rosebushes at their old house in new jersey, i have no attachment to roses. but then i started to think about what uses those roses would have. and they survived the summer. i picked the roses and dried them and have been using the petals as ingredients in bath soaks and batch after batch of herbal shampoo. 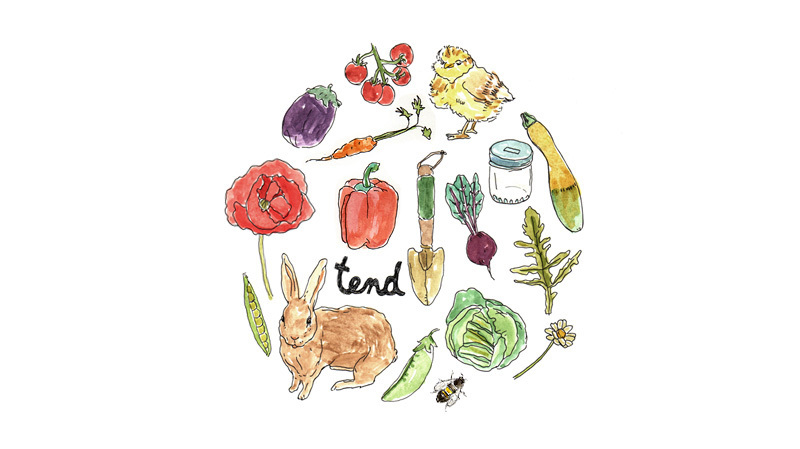 as you think of what you'd like to plant in your garden this year, maybe take some time to think of what you'd like to make with your garden at harvest time. and plant accordingly. 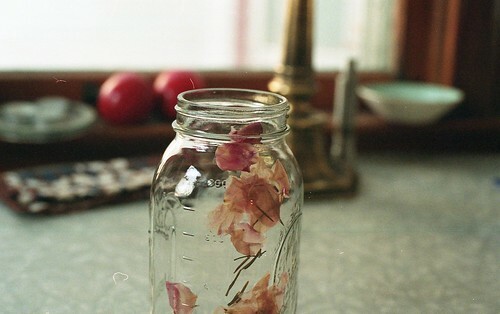 place the rosemary and rose petals in a jar and fill to 8 ounces with boiling water. cover immediately and let it stand until the jar has cooled. strain out the herbs, and pour the water into a bottle or whatever container you will be storing your shampoo in. add the castile soap, aloe vera juice, jojoba oil, and rosemary essential oil. *note: this shampoo is much more watery than the kind you buy in the store, so it takes some getting used to. i've found that it works best to give the bottle a gentle shake before each use to make sure it's properly mixed, and then squirt a little bit straight onto my head (i used to pour some shampoo in my hands, lather it, then put it on my hair--this doesn't work so well with this type). i will say, i've been using this shampoo for almost a year and it works great! i love not having to purchase shampoo every few months, knowing exactly which (very few) ingredients i'm putting on my head, and reducing packaging waste. not to mention, taking advantage of the usefulness of my garden. Do you ever get (or did you, when you first used this) a film over your hair from the shampoo? I very much want to switch to homemade shampoo, as I make a lot of other things of this nature, but I recently tried a very similar recipe...it didn't involve roses, but the base of the shampoo was castile soap, water, a light oil (I used almond), and essential oil. This recipe seems to use different ratios of the ingredients, so perhaps the film was from too much oil, but I also read it could be from hard water, and while I haven't had my water tested I can tell it falls in that category. Do you have any suggestions? Or did you ever have any bad hair days at first with this, but then it got better? Just wondering! Thank you! And thanks for the recipe, I want to try a batch of this one and compare. when i first started using this shampoo, i followed the recipe exactly, which calls for 1T less castile soap- and occasionally (though not always) my hair wouldn't feel clean after washing- if i didn't use enough. after modifying the recipe to make it a bit soapier, i have not had this problem at all. maybe your recipe has too much oil? i don't know anything about hard water, so i have no idea if that's part of the problem. also- i don't have particularly oily hair (it's probably in the "normal" range), so depending on your hair type, there may be other herbal shampoo recipes that better suit your own hair. good luck! let me know if this one works better for you! Thank you! I am glad that you appreciated that post and look forward to you and your friends visiting this site often and joining it! It's very interesting to have making of herbal shampoo which we can prepare in home. This is good to procure the healthy hair in a natural way, Thank you. As Agen Bola Online Agen Ibcbet Agen Sbobet I wish to point out my affection for your kindness in support of those who must have help on your concept. Your real commitment to getting the message around had been exceedingly good and have all the time empowered some individuals like me to achieve their endeavors. Your own interesting help and advice implies this much to me and somewhat more to my office colleagues. Thanks a lot; from all of us. All images are copyright of the individuals and may not be reproduced without permission. Simple theme. Powered by Blogger.